To launch a totally new retail concept in the U.S. that offers lattes and mochas made from green tea. The Westwood, Los Angeles store was one of thirty scheduled to open throughout the Western United States. The biggest challenge of this project was to re-direct coffee addicts to a healthier gourmet breakfast beverage choice. We worked closely with the creators of this concept to Americanize green tea in a way that became acceptable and didn’t appear too exotic to become a daily morning stop on the way to work. And, this was to be done in only 4 months time. The first thing we did was position the Green Tea Terrace with a strong descriptive as the “Starbucks of Green Tea.” We then focused on the health benefits of green tea that were being offered in familiar looking and tasting lattes, mochas, cappuccinos and even frappes. • Residential neighbors within a ½ mile walking distance and 5 mile driving distance. 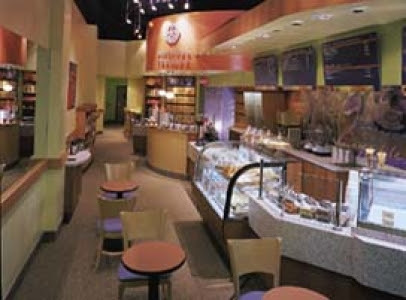 • Neighboring businesses who could refer business to Green Tea Terrace. • Health, news and business press. to LA’s morning drive time DJ’s..
• a whopping 1464% return on investment.